Well snap. 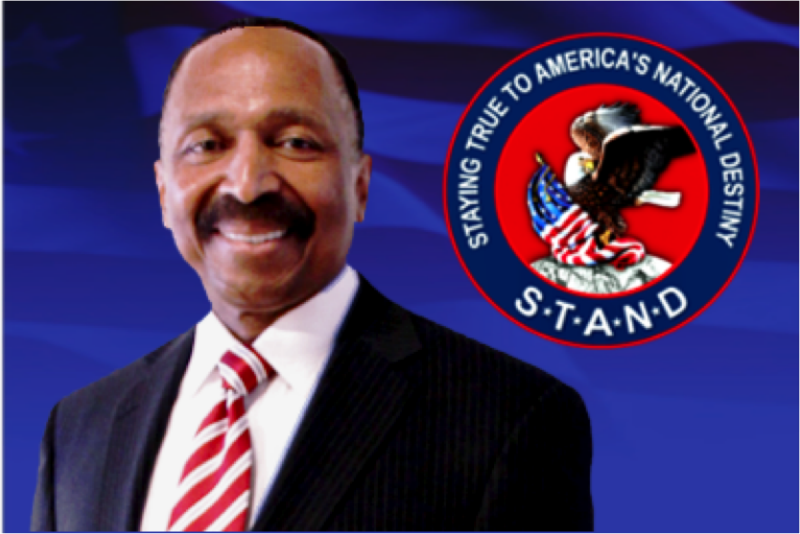 Looks like the pro-infanticide governor might also be kind of a racist pig. First, it came out he posed in a racist photo back in 1984, then there’s this, a video of Northam refusing to shake opponent E. W. Jackson’s hand. Pretty bad stuff here. Dude, that’s just flagrant. We can all see the hand. 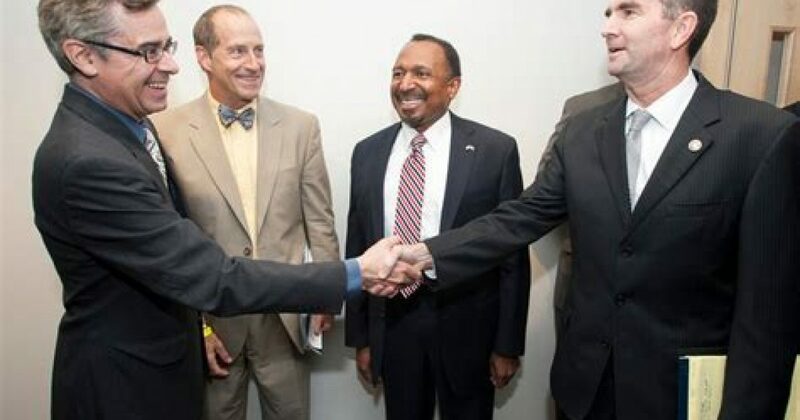 We can all see E. W. Jackson trying to get Northam’s attention to shake his hand. Northam ignores him. Either Northam is just a classless dirtbag (makes sense) or he’s a full-on racist. Also makes sense. Now we’re not sure if Northam was the guy in the KKK hood or if he dawned the blackface. Either way. 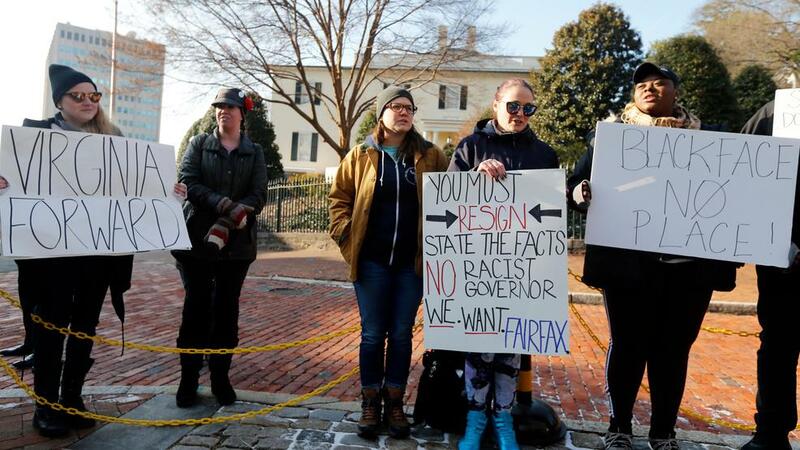 Going by the rules as established by the media and the Democrats, Ralph Northam has got to go. As in resign. Now. Let’s also remember this story: Democrat Ralph Northam Removes Black Running Mate from Campaign Flyer. 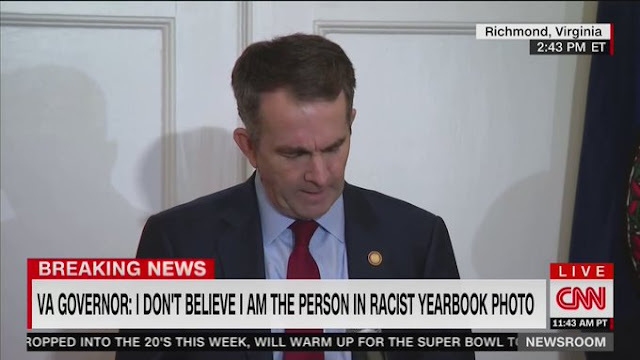 After getting exposed as a giant racist dirtbaglord, Ralph Northam apologized for his blackface/KKK yearbook photo. Nevertheless, people are demanding he abort his governorship, much like his wishes for newborns. Now, desperate to salvage his career, Ralphie-boy says he didn’t appear in that photo at all. Yeah, seriously. Governor Ralph Northam said at his Saturday afternoon press conference that he has no intention of resigning and that he is not in that racist photo. Northam was roundly condemned after the news of the racist photo on his yearbook page depicting someone in blackface and another person in a KKK robe. Many Democrats, including the Virginia Democratic Party and several 2020 presidential candidates, called on him to resign. One question. If Ralph has total recall of that time period, why didn’t he deny it from the start? He “believes” he is not the person in that photo and he knows nothing of any racist photos. Yeah, right. In his effort to weasel his way out of this, he gave us yet another instance of racial insensitivity. Though, we need to just accept he would never do such a thing. Nobody is buying this clown’s bullhickey. He’s even trying to turn it around to make himself look like a crusader for equality. Not only is Ralph Northam an ardent supporter of baby-killing, he’s also a major racist dirtbagnugget. I’m not talking about the same “racism” as calmly smirking while an Indian bangs a drum in your face. Or maintaining the “white supremacist” construct they call math. Real, legit racism. Funnily enough, CNN seems to think Ralphie’s racism makes him a Republican now. Ryan Saavedra called them on it on Twitter. Never mind how the KKK were a bunch of Democrats. Or how your average Jim Crow dirtbaglord had a “D” after his name. The second a photo emerges of an “inclusive” Democrat in either blackface or a Klan hood, suddenly he’s a member of the Grand Ole Party. Yeah, that ain’t how it works. Yet, we’re the side of racism? Give me a break.